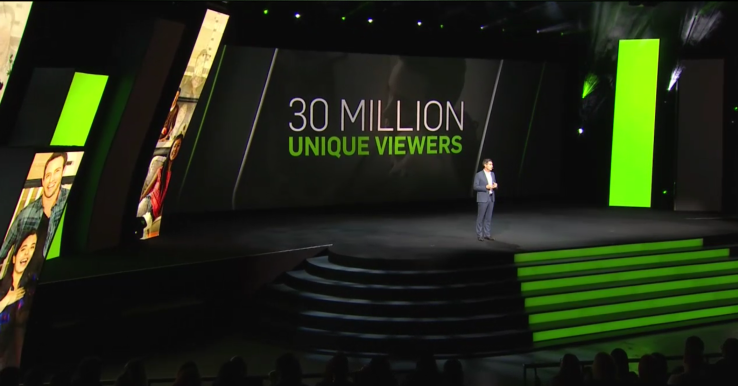 This morning Hulu CEO Mike Hopkins spoke a bit about the plans for the streamer to offer a “skinny bundle” of channels that will combine real-time delivery of broadcast and pay TV network channels that don’t require a cable connection. The options will be made available sometime in this next year. Hopkins didn’t mention a specific price, but $40/month has been what’s rumored. Hulu is owned by Disney, Fox and Comcast, but the latter is a silent partner. This may sound good, but Hopkins lost me when he said that “the vast vast majority of viewers” stay with the ad-supported plan, as opposed to their ad-free option, stating we want “live, linear TV content.” I say “whatever” because I don’t go ad-free because it cost more money, it’s not because I prefer “live, linear TV content”. Of course, this was an announcement made to advertisers during a presentation at Madison Square Garden. Looks like Hulu is wanting to diversify their offerings to their customers with a deal from Live Nation that will give Hulu the option to live stream certain concerts. In his love letter to those advertisers, Hopkins introduced a deal with BrightLine that will result in more interactive ads. My take on it? I hate the interactive ads. I want to watch TV and make dinner or be able to get involved in my oils and canvas and not have to stop every few minutes to select my advertising experience options. Seriously, stop with that crap. Have you all not heard how much Netflix users dislike the check on their life after 3-4 episodes asking if we’re still watching? We are, just keep the shows rolling. This is a binge-watching day and age and interactive ads really get in the way of that. Hulu’s presentation included various stars from Hulu series’ including Hugh Laurie of ‘Chance‘, executive producer Amy Poehler and the leads from ‘Difficult People‘ and Mindy Kaling. Ron Howard and Paul McCartney ended the show on video promoting ‘The Beatles: Eight Days A Week‘. Hulu will have exclusive rights to present the documentary in the fall simultaneously as its theatrical release. Cord-cutting will be a little bit easier if you don’t have to wait a day to get the content Hulu currently offers, and another option that isn’t tied to satellite or a cable provider. I’m not sold on the idea, yet, but once Hulu debuts their package with price-guide, I may be brought around. This entry was posted on Wednesday, May 4th, 2016 at 1:38 pm	and is filed under Film, News, Television. You can follow any responses to this entry through the RSS 2.0 feed. You can skip to the end and leave a response. Pinging is currently not allowed. « ‘The Shallows’ Stars Blake Lively and the Trailer Looks Chilling!! !